Warm Springs assists in the development of ballistics products for your individual armor needs. Solutions can be simple monolithic composites or sophisticated multi-layer assemblies. We offer the capability to develop, test, and produce materials for both ballistic and fragmentation projectiles against any caliber from NIJ Level IIIA through Level IV including 7.62 x 54 armor piercing incendiary rounds. 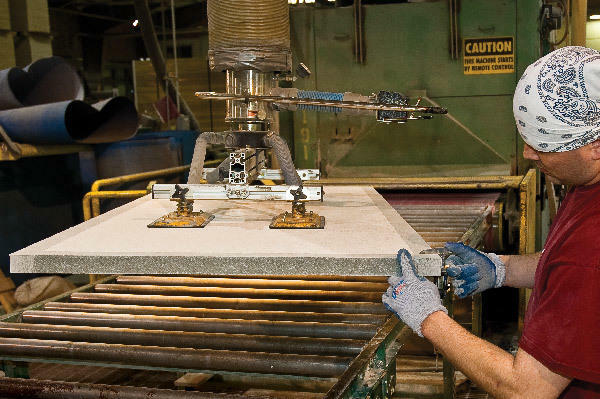 Our production facility is nimble and flexible, allowing us to begin with production of R&D samples for evaluation, and continuing on thru to a finished design while planning for efficient full-scale production. In addition to ballistic protecton, we can also offer our customers assistance in the area of blast protection. A current version of our Blast Panel design has been successfully integrated into some of our current customer's proprietary products which significantly reduces the over pressure created in an explosion. Warm Springs works in tandem with a consortium of partner companies to serve as a single supply source for a diverse set of defense contractor customers. With HUBZone, SDB, Tribally Owned, Native American and 8(a) certifications, we give you a tremendous bidding advantage on armor related Department of Defense contracts. Among the competitive services we provide are assistance in meeting all subcontracting requirements, a 5% incentive bonus, quick contract approval, protection from award protests and much more. Solid Laminated and Bi-Directional Skinned Panel Commercial Composites utilize a fiber combination of E-glass, S2 glass, Carbon, Aramid, and ultra-high molecular weight Polyethylene and binders that include Polyethylene, Polypropolene and Phenolic resin for superior strength and durability in any type of application. Using uni-directional and woven roving fibers, our Solid Laminated Panel delivers unmatched structural integrity with a durable finish that is smooth, flat and adaptable to a wide variety of finish options – from sprayed coatings to materials such as RTF (Rigid Therma-Foil), aluminum, decorative high pressure laminates and more. Bi-Directional Skinned Panels have a composite fiber skin specially laminated to produce an extremely lightweight component that is longitudinally stronger for a given thickness with exceptional load-bearing capabilities. Whether used in non-structural applications or sandwiched as a composite, Bi-Directional Skinned Panels can be surfaced with any number of sheet products including exotic real wood veneers, as well as durable skins such as RTF, aluminum, decorative high–pressure laminates and many others. 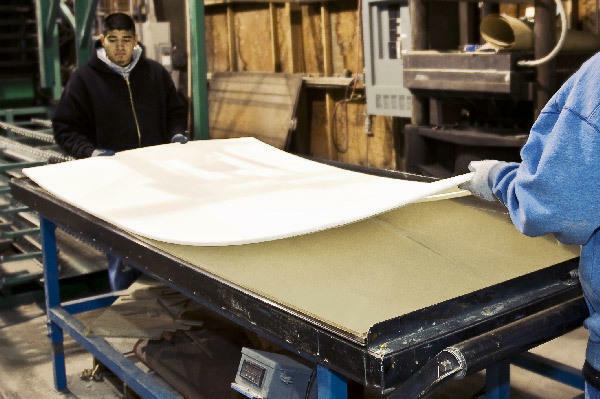 Molded composite sheet products and machined components are available in dimensions up to 2” thick, 48” wide and 96” long.